Rose Gold is enjoying the spotlight in the fashion world today and Style Dots is completely on-trend by offering a nice selection of foundations and Dots in this warm-hued metal. 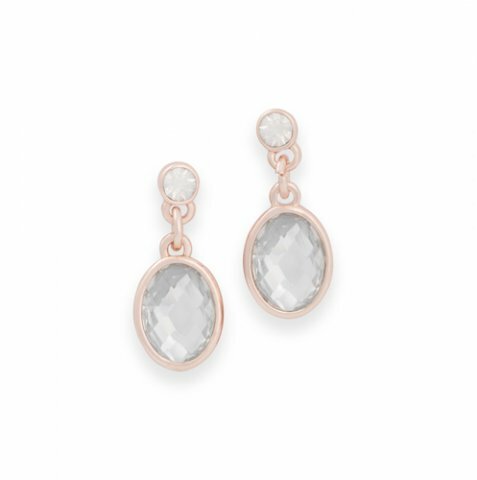 Our Rose Gold Crystal Earrings are topped by a petite round crystal and dangle a lovely oval crystal for twice the sparkle. These stand-alone fashion earring do not hold a Dot.